I am Jack Byno, a traffic ticket attorney that represents clients that have received speeding tickets and other traffic violations in Flower Mound, Texas. Do you have a traffic citation in Flower Mound or Lewisville? Do you have a commercial driver's license (CDL)? Do you have a traffic citation that is past due and has turned into a warrant? If you have answered, "yes" to any of the above questions, then you need an attorney that has experience dealing with the Flower Mound Municipal Court as well as all the other traffic courts in Denton County. I have been representing clients with traffic tickets and other Class C Misdemeanors since 1994. Contact me today to see how we can best handle your case. Traffic Citation in Flower Mound, Texas? While driving in Flower Mound, Texas, did you hear a siren and see red and blue lights behind you? You looked in your rear view mirror, only to find a police officer? Well, it is not uncommon. After pulling you over, the officer probably asked for your driver's license and proof of financial responsibility (insurance) . After looking at those documents, he most likely explained that he pulled you over for a traffic violation, such as, speeding . Now what do you do? Do you pay the ticket? Do you take a defensive driving class? Do you take the ticket to trial? You have these options and more. Contact me to learn more about what you can do. Many people assume that having a speeding citation in Flower Mound, Texas issued to them means that they have been "found guilty" of something - that is not the case. You have a right, under Texas state law, to challenge a speeding ticket . Your chances of success in doing so, however, are greatly improved when you work with an experienced attorney who has in-depth knowledge of the Flower Mound municipal court system. When you do nothing with your traffic ticket is when the real trouble begins. By ignoring the citation or putting it off until after the due date will lead to the court issuing the additional charge of Violation of Promise to Appear (VPTA). In plain English, a warrant for your arrest. I can help you by posting a bond to lift the warrant. When an attorney, such as myself, posts a bond, I will also represent you in court and work out the best deal I can on your behalf. In Flower Mound that normally means getting a probation to keep it off of your record (assuming you qualify) and trying to save as much money as possible for you. More about the Flower Mound Warrant Roundup. There is nothing in Flower Mound, Texas that is not delivered on a truck. They deliver our food, our clothes, our toys, everything! Who carries these items for us? Truck drivers ! More specifically professionals that hold Class A Commercial Driver's Licenses (CDL) . 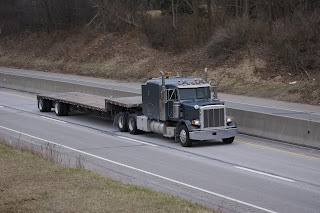 A CDL has very tough restrictions and standards. most truckers drive long distances over the road and few ever encounter a problem. However, did you know that if you hold a CDL and you get a ticket for speeding in the family mini van you cannot take defensive driving or probation for your ticket? Contact me today to determine how I can help you protect your CDL. When you need a speeding ticket defense lawyer in Flower Mound, Lewisville, Hickory Creek, Highland Village, Double Oak, Copper Canyon, Bartonville, and the rest of Denton County, I can help. Contact me today to learn more about my legal services.